As fall turns to winter, shorter days and cooler temperatures whisper a message to animals around the world that the time has come to move. So begins the magic of animal migration. Every year, millions of birds migrate north and south following a route called the Pacific Flyway. The Pacific Flyway extends from Alaska in the north to Patagonia in South America. 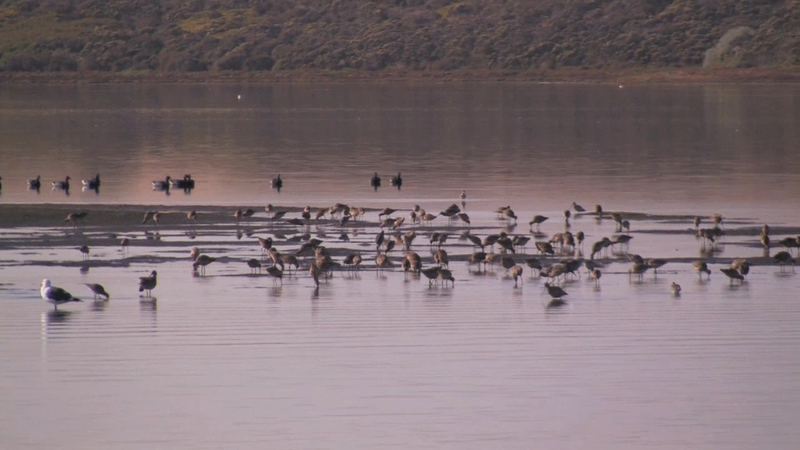 In central California, Morro Bay is an important stop along the Flyway. Morro Bay is an environment where the pounding waves of the ocean are separated from the bay by a barrier of beach of sand making for a calm sanctuary. The Morro Bay Estuary is such a special place, partly because it's the only habitat like this for hundreds of miles up and down the coast. The protected waters here and the intertidal environment provides the kind of habitat that's so critical for the birds making their migratory routes up and down the entire Pacific Flyway. Against the backdrop of Morro Rock, an extinct volcanic peak, a flock of Brant Geese fly by. They have made their way here from Alaska. Shorebirds by the thousands line up along the water's edge for the buffet of food to be found in these shallow waters. A great white egret ventures into the water to look for prey. Estuaries like Morro Bay are areas where fresh water from rivers and streams mix with salt water from the ocean. From its rich waters to the vegetation along the shoreline, this ecosystem brims with life of all kinds and offers food as well as shelter to weary long distance feathered travelers. In a unique display of flocking behavior, many birds partake in an aerial dance over the water's edge at sunset that is amazing to witness.